Food insecurity, scarcity of water, drought and malnutrition remains a continuous threat for the lives and livelihoods of the people of Tharparkar district. Precious human lives have been lost and livelihoods stolen. The impact of these adversities may further escalate if timely action is not taken to control the situation. According to the local health department, eleven more children have died in Thar’s hospitals, during the past four days due to an outbreak of waterborne diseases and malnutrition. Since January this year over 172 infants have died in the district. Dozens of unwell children were brought to six health facilities of the Thar district on Wednesday. Their parents complained of a lack of facilities in the hospitals to timely treat their children and unavailability of healthcare units in their remote villages. They alleged that most of the dispensaries and basic health units in their villages remained closed. Despite repeated attempts, no health official representing these health facilities were available to share their version of the story. Since Justice Saqib Nisar, Chief Justice of Pakistan, has taken suo moto notice of the increasing number of infant deaths reported at the Civil Hospital in Mithi this April, the district health officials have stopped sharing details of the deaths of infants with the media. 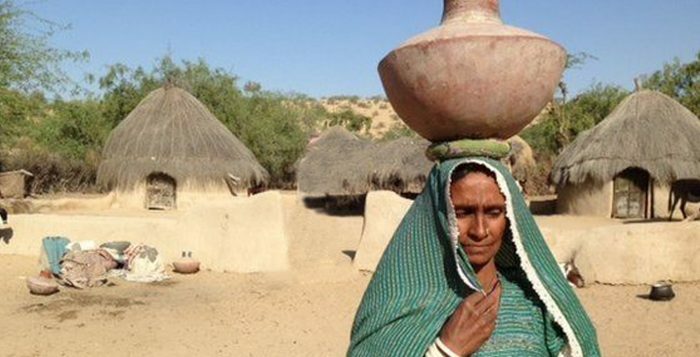 Health and nutrition experts and rights’ activists working in the desert area of Thar have raised a dire need of nutritional provision and safe drinking water in the region to prevent further deaths. They stated that the situation in the rain-dependent region have assumed alarming proportions due to increasing temperatures and delayed monsoon rainfall. Community World Service Asia Response: Community World Service is in contact with local partners in Tharparkar for information on the ground and will plan a response accordingly. 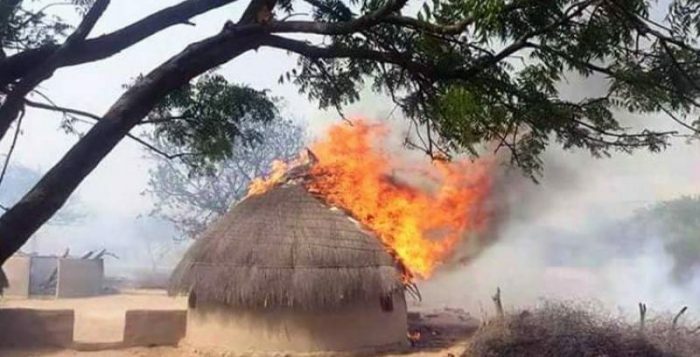 At least five hundred mud houses were destroyed when a fire broke out on the afternoon of May 10th, in village Vakrio near Islamkot town in Tharparkar district. The reported fire broke out due to a short circuit and immediately engulfed a thatched house in the village Vakrio. Due to strong winds, the fire spread to more than 500 thatched and cemented houses, reducing them all to ashes and rubble within minutes. Luckily, at that time that the fire erupted, village residents were out working in the fields, saving them from the ravenous fire. Seven people from the village have however been reported injured. Most of the village livestock was also grazing in the fields at that time of the day, yet around 100 cattle have reported been killed in the fire. Vakrio residents ran out their houses to save their lives, but did not have ample time to save their livestock or their belongings. All their ornaments, clothes, crockery, seeds stocks for next cultivation, stocks of fodder, food, were all burnt to ashes in front of their eyes. The village residents all tried their best to extinguish the fire together by throwing barrels of water and sand on the blazing fire, but despite their efforts, they were not able to save the hundreds of homes. Only two hundred houses in the entire village were unharmed from the fire. This is the tenth such incident this year, on an average around three houses have been burned in each incident, but there has been no immediate solution to this recurring tragedy. The people of Vakrio spent the night in the open land and appealed to relevant authorities and welfare departments to help them rebuild their houses and rehabilitate back to their usual life. Emergency shelter kits, food package and nonfood items such as cooking utensils to cook their food are immediate requirements of the affected communities. Community World Service Asia Response: Community World Service is in contact with local partners in the area on the updated information of the tragic event. It is closely monitoring and will devise its response plan accordingly.